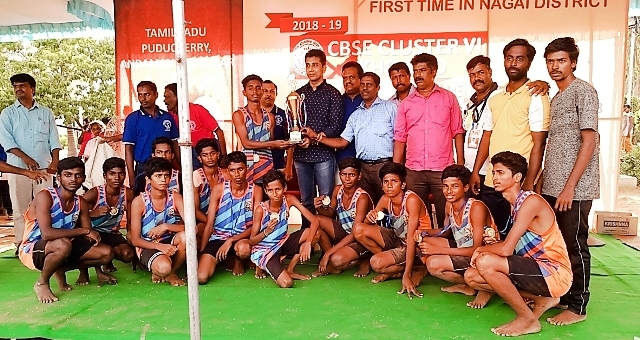 CBSE Cluster VI Kho Kho Tournament for Boys under 19 was held at Melaiyur from 20.09.2018 to 22.09.2018. Twelve of our students participated in the same and they have won the I Prize. 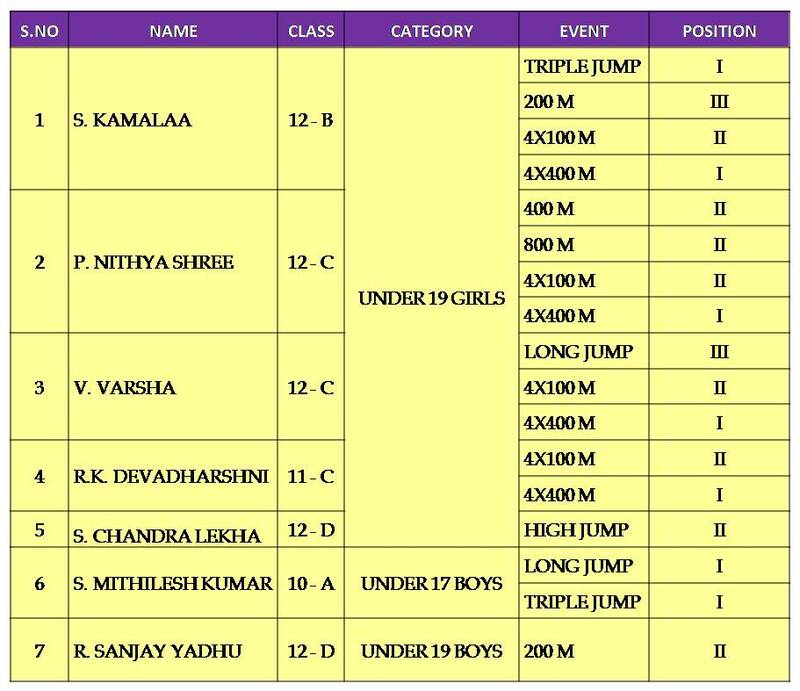 CBSE Cluster VI Athletic Meet 2018-19 was held at Jawaharlal Nehru Stadium from 17.09.2018 to 20.09.2018. 41 Students participated. We have won 4 Gold, 5 Silver and 2 Bronze Medals. Our School has secured Second Position in Overall Championship with 96 points and Seven students selected for Nationals. On 17.9.2017, CBSE Cluster VI –Skating was held at Karaikudi for the category under 11 Girls. Two of our students participated and won Gold and Silver Medals. On 27.9.17, CBSE Cluster VI Athletic Meet was held at St.Johns’ School, Chembarabakkam, Under 19 Girls. Our school bagged 2 Gold Medals, 4 Silver medals and 1 Bronze Medal. * CBSE Athletic Meet was held at Jawaharlal Nehru Stadium on 22.08.2016 & 23.08.2016. 33 students participated in Marchpast and 25 students in the athletic events. Our students bagged 1 gold, 7 silver medals, 2 bronze medals and we secured third position in overall championship with 75 points. 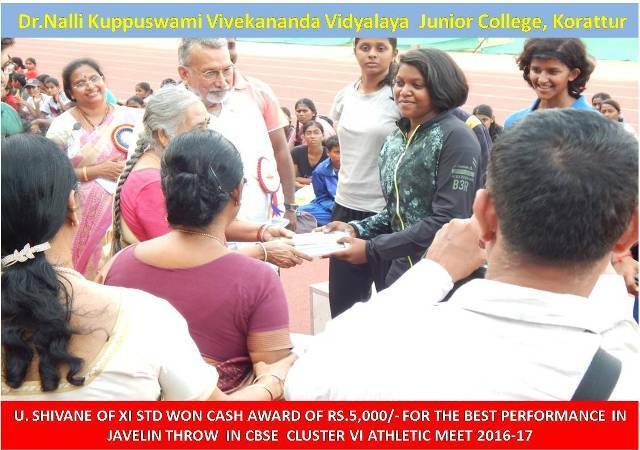 U. Shivane of XI std won cash award of Rs.5,000/- for the best performance in Javelin Throw. * CBSE Cluster VI Kho Kho Tournament was conducted for Boys at Karaikudi from 31.08.2016 to 03.09.2016. In this we have bagged the first position. * From 27.09.2016 to 29.09.2016, CBSE Cluster VI Athletic Meet was held at Salem. Nine Students participated. 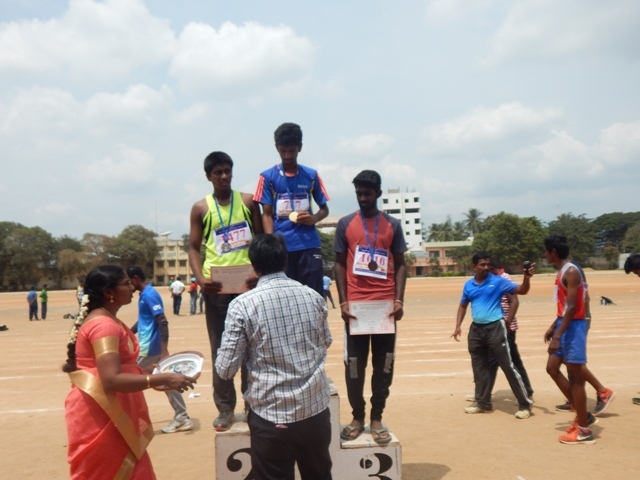 K. Raj Kumar XII C has won the I prize in 100 mts. and II prize in Long Jump. 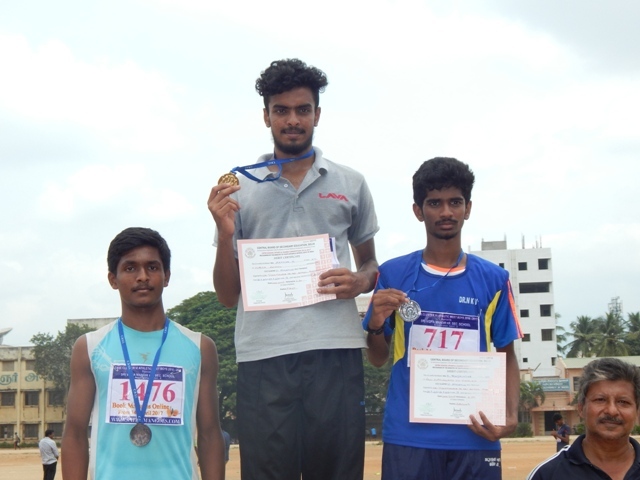 Pradeep of XI D has won II prize in 800 mts. * CBSE South Zone Taekwondo Tournament was held at Mangalore from 14.10.2016 to 16.10.2016. 6 of our students participated in the same. 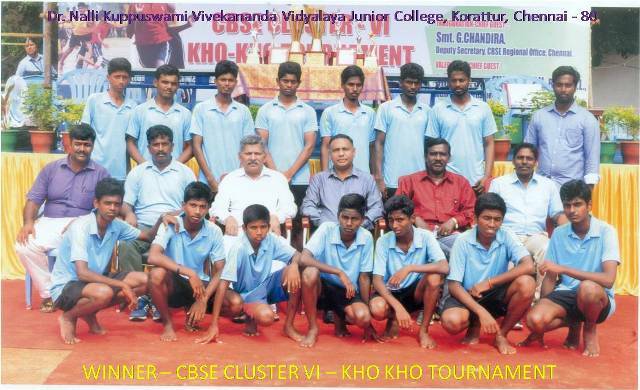 K. Arunvel of X std has bagged gold medal and B. Hemkumar of IX bagged bronze medal. * From 05.12.2016 to 14.12.2016, CBSE Kho-Kho National Tournament was held at Sambalpur, Orrisa. 12 students participated and they have come out as runners. K.S. 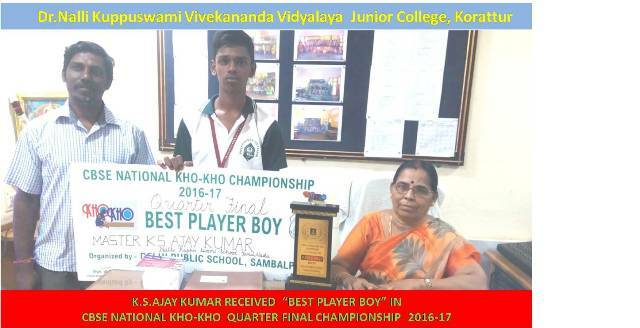 Ajaykumar of XII std was selected as Best player.